Probiotics are powerful means of helping to support gut health, and in turn, support holistic health. Lactic acid yeast wafers are a unique product that contains healthy yeasts producing lactic acid. This beneficial acid helps eradicate harmful bacteria while promoting the growth of beneficial bacteria. Sometimes the best probiotic for one person will be horrible for another. 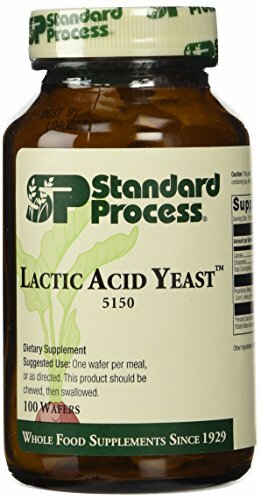 Lactic acid supplements such as yeast wafers may offer a unique means for those intolerant to probiotics to help balance their gut flora. Most people are familiar with lactic acid in the context of exercise and sore muscles. Pyruvate, a direct product of glycolysis, is used by our bodies to ultimately product lactic acid. This normal process of fermentation within our body produces compounds referred to as lactate. When our body produces more lactate than it is capable of removing, we begin to accumulate a surplus. To get some context; during exercise, our levels of lactic acid can increase by as much as 2500% . Sports research labs often use this type of marker as a standard approach in measuring athletic performance. In addition to exercise-based lactic acid production, there are certain types of beneficial bacteria that produce lactic acid. These are often known as the Lactobacillus bacteria and are common ingredients in many probiotics. By cultivating the growth of these types of bacteria in your gut, you are effectively maintaining an environment which is very unpleasing to many pathogenic bacteria. This is regarded by many as one of the most-effective means of promoting all-around health. Lactic acid has been shown to act as a powerful anti-bacterial agent on many species of harmful bacteria. For example; one study found lactic-acid producing bacteria derived from cheese to be inhibitory towards Listeria, Staph, and several other harmful species . Lactic acid bacteria are usually associated with probiotics and fermented foods like kefir, yogurt (NOT Froyo) and sour kraut. These types of products generally always include some strain of bacteria proven to produce lactic acid. These bacteria are usually absorbed after oral consumption of pills, powdered drink mixes, or as a meal in the case of krauts and yogurt. In some cases such as colonic hydrotherapy, probiotics are sometimes administered rectally to bypass the stomach and upper GI altogether. One less-common source of lactic acid is from a class of probiotics known as wafers—specifically lactic acid yeast wafers. Gut Health is a tremendously difficult balance to maintain, and especially to shift. Many diagnosed with pathogenic bacteria often respond poorly to probiotics. The science on the subject is still segmented largely, and the mechanisms of how these bacteria impact health aren’t fully understood. What is understood is how many species of bacteria swap DNA among themselves through a process known as horizontal gene transfer (HGT) . Basically, this means that the DNA from a beneficial bacteria could likely alter the DNA of ‘bad’ bacteria—though not necessarily in a positive manner. 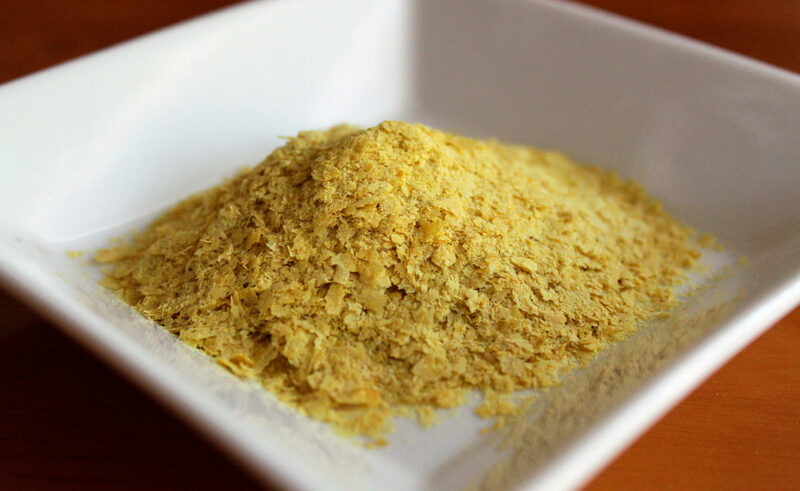 Probiotics often include prebiotic saccharides to help nourish the included bacteria, though what nourishes good bacteria often nourishes bad bacteria. For some people, this makes the use of probiotics are a particularly tricky field to navigate. Lactic acid yeast wafers, and similar lactic acid supplements, likely provide a unique and valuable means of getting around this complex issue altogether. Bad bacteria and Good Bacteria conceivably feed off similar compounds, such as fructooligosaccharides (FOS) . These compounds are associated with many notable health benefits themselves and are often considered as non-caloric sources of dietary fiber. These types of compounds are often included with probiotics as a means of supporting the growth of the included bacteria species. 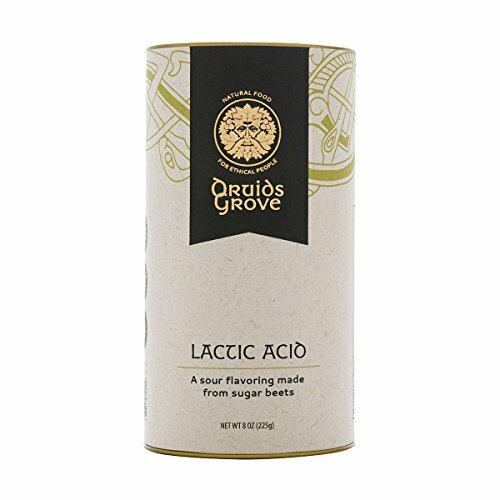 Considering that many beneficial bacteria produce lactic acids and that lactic acids have been shown to inhibit the growth of bad bacteria, it seems plausible to suspect that administration of pure lactic acid may have some neutralizing effect on bad bacteria. This would seem advantageous to those that have gut dysbiosis but also respond poorly to probiotics. To be clear—we have seen ZERO evidence of this being an effective treatment for SIBO or similar conditions. We are ourselves undergoing some n-of-1 type testing, and are excited to see if lactic acid on it’s own as a supplement may offer the ability to help address pathogenic gut bacteria. Ideally, one should have healthy levels of gut-flora known to produce lactic-acid compounds rather than supplement with exogenous forms. For those suffering from microflora dysbiosis, however, such outside sources may offer some novel action. Below are some of the lactic acid products we’re considering. NOTE: We were pretty pleased with the Druids Grove product but, ultimately, didn’t notice any benefit towards overall wellness. It did, however, add a nice pop to some of the foods we tried it on! At this point, we regard it as recreational rather than therapeutic. Gut Health is paramount to our total health. The many species of bacteria that live in the human body have shown tremendous benefit in their ability to impact health in both positive and negative ways. Probiotics are often used as clinical means of introducing beneficial bacteria into our bodies, and many of these produce Lactic acid—which is known to help eliminate pathogenic bacteria species. Probiotics also include many compounds that could likely promote bad bacterial growth, and are poorly tolerated by many. Supplements like Lactic acid yeast wafers and lactic acid powders may offer a unique means of addressing pathogenic bacteria in preparation for probiotics usage. We are currently experimenting with this ourselves, but have seen little clinical data discussing this type of use in non-laboratory settings. Goodwin, Matthew L., et al. “Blood Lactate Measurements and Analysis during Exercise: A Guide for Clinicians.” Journal of Diabetes Science and Technology (Online), Diabetes Technology Society, July 2007, www.ncbi.nlm.nih.gov/pmc/articles/PMC2769631/. Mezaini, Abdelkader, et al. “Antibacterial Activity of Some Lactic Acid Bacteria Isolated from an Algerian Dairy Product.” Journal of Environmental and Public Health, Hindawi Publishing Corporation, 2009, www.ncbi.nlm.nih.gov/pmc/articles/PMC2778462/. Burmeister, Alita R. “Horizontal Gene Transfer.” Evolution, Medicine, and Public Health, Oxford University Press, 2015, www.ncbi.nlm.nih.gov/pmc/articles/PMC4536854/. Sabater-Molina, M, et al. “Dietary Fructooligosaccharides and Potential Benefits on Health.” Journal of Physiology and Biochemistry., U.S. National Library of Medicine, Sept. 2009, www.ncbi.nlm.nih.gov/pubmed/20119826.